Whether you need a sample board policy, information and analysis on key education issues or help to update your district policies, SCSBA is ready to assist. The Policy and Legislative Update publication. Review of new or revised policies formally adopted by the board for content, format and legal compliance. Review of proposed policies prior to adoption at the district’s request. Draft of sample policies not found in our model at the district’s request. Model policies and information regarding “hot” topics throughout the year. Review of board minutes for board decisions which may warrant new policy or a change in existing policy and for board action which is contradictory to board policy or FOIA laws. For additional information, contact Dr. Tiffany N. Richardson. Join SCSBA Policy and Legal Services staff for a Q&A webinar to review policy highlights for the 2018-2019 school year. 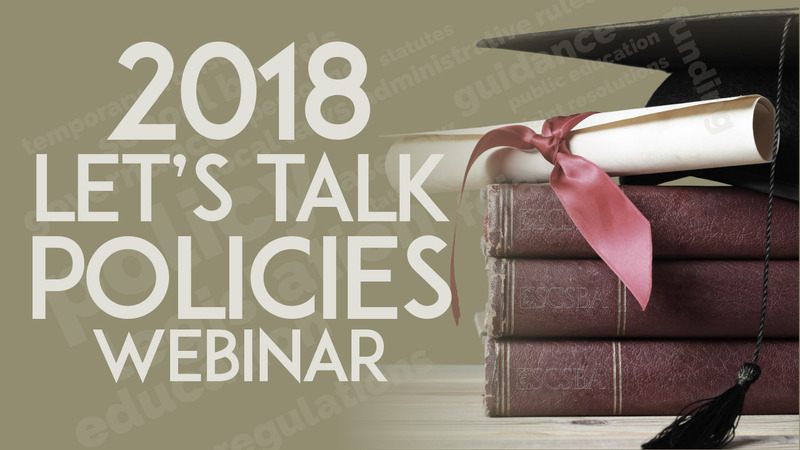 Topics you may have questions about include education-related legislation, case law, state and federal regulations, agency guidance documents or model policies and rules that were included in the 2018 Policy and Legislative Update. Feel free to submit your questions to trichardson@scsba.org prior to the webinar or tune in and submit your questions live on October 3. There is no fee for the webinar, but when you register online, you will receive an email with detailed instructions and system requirements for participating in the webinar. SCSBA Policy and Legal Services staff presented a Q&A webinar to review policy highlights for the 2017-2018 school year. 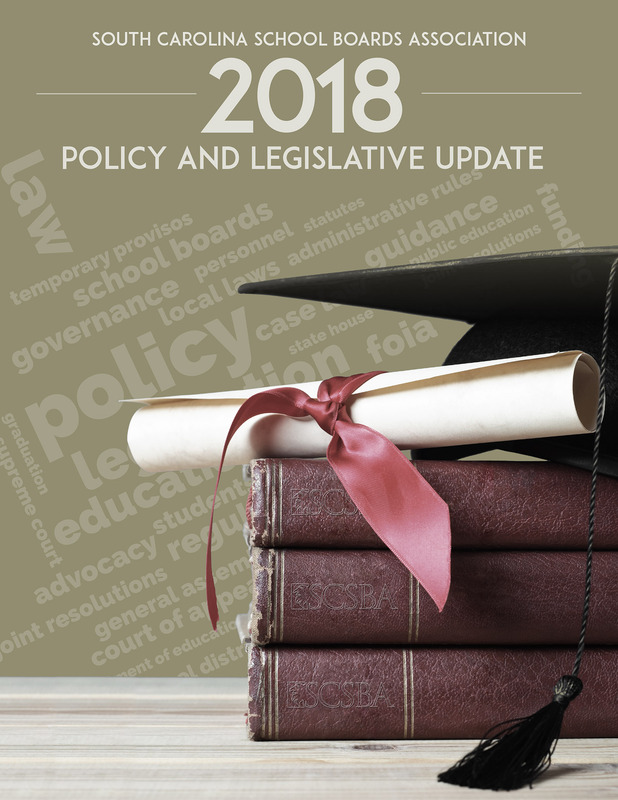 Topics discussed included education related legislation, case law, state and federal regulations, agency guidance documents and model policies and rules that were included in the 2017 Policy and Legislative Update.